Ingredients. Black Orange Pekoe tea, Cornflower petals, Natural flavours. Cup Characteristics. 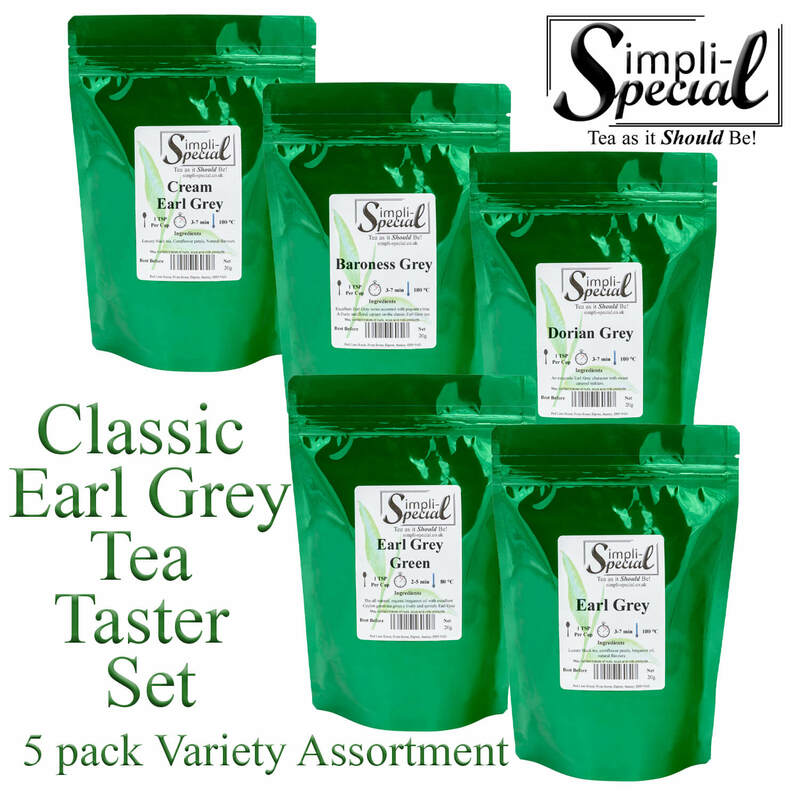 Anexquisite Earl Grey character mellowed with soft hints of cream. Cup Characteristics. An exquisite Earl Grey character with sweet caramel ticklers. Ingredients. Black Flowery Orange Pekoe tea, Apple pieces, Cornflower petals, Daisy white, Elderblossom, Linden flowers, Mallow flowers, Natural flavours. Cup Characteristics. Excellent Earl Grey notes accented with Piquant lemon. Ingredients. Black tea, natural dried orange + lemon, rose and Cornflower petals, cinnamon pieces, natural flavours. Ingredients. Green gunpowder tea, Cornflower petals, Natural flavours. Bring fresh cold water to a rolling boil. Place 1 teaspoon for each cup into the pot. Pour boiling water into the pot, cover and allow to steep for 3 to 7 minutes according to taste. the longer the steep, the stronger the brew. Add milk and sugar to taste but can be drunk straight up. Bring fresh cold water to a rolling boil. Place 1 teaspoon for each cup into the pot. Allow the water to cool to approx 80 - 90C (180F). Infuse the tea, cover and allow to steep for 3 to 4 minutes. Do not remove the leaves from the pot because they can be used repeatedly until the flavour of the tea is exhausted. This makes green and white teas much cheaper per cup than it would seem. Green and white teas are normally served without milk and sugar.